Don’t miss the opportunity to see this act up close and personal. A little about the band……. The Kelly Family band play Australian family folk music with Celtic and American influences. They have just returned from a recent concert & busking tour of Europe where they took on Prague, Liepzig, Berlin, Poland, Paris, Alsace, Milan, Provence, and Ireland to name a few, phew ! Family bands are one of life’s super special creations and the Kelly family band are such an organism. Three kids and two adults all with happy demeanours make their Irish sound with joy, love, tensions and all the ups and downs that come with family life. The youngest is 10 years old and Rory plays the spoons, bodhran, and drums with such energy that he often burns himself out and has to leave the stage half way through the show for a breather. Mocara (Irish for my friend) is 11 years old and a keen dancer and fiddler and is the mischievous one while Sofia at 14 is the more experienced and fiery fiddler of the children. Mum (Kristin), and Dad (Alan) are founder members of the Irish band the Barleyshakes and consider this time of the family life to be pure gold. 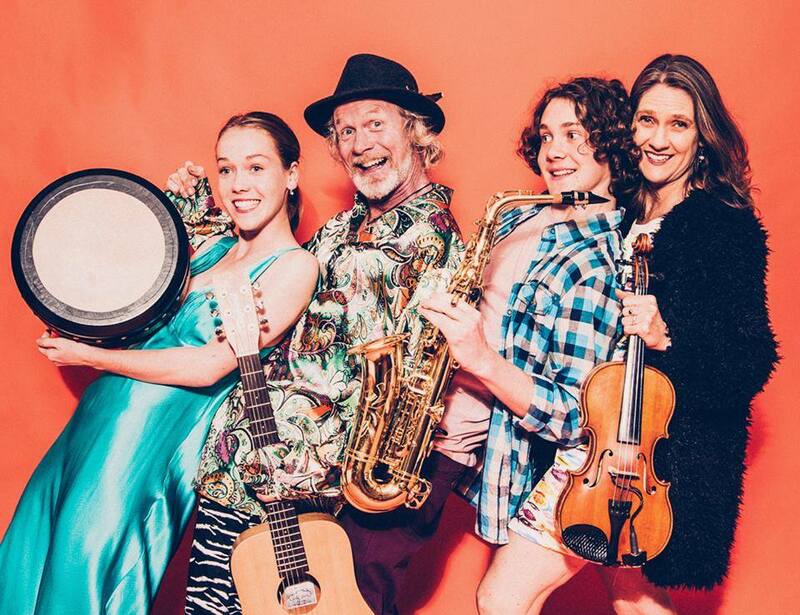 The Kelly Family Band are a joy to behold and their music is infectious, upbeat and for all the family to be sure to be sure.